Mr. Hickman brings more than 28 years of experience, achievements and success in the mortgage banking industry to his role as CEO of Highlands Residential Mortgage. 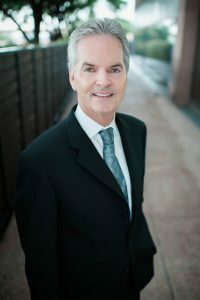 As a founding Partner and Member of the company, Ken identified and negotiated the purchase transaction of Mortex Lending, Ltd., the predecessor entity to Highlands. Ken now directs a broad range of the company’s strategic and tactical activities, integrating those functions with his deep mortgage experience and broad industry network. Prior to his role at Highlands, Mr. Hickman served AccuBanc Mortgage Corporation as Chief Financial Officer from 1983 until its sale in 2000. After serving AmPro Mortgage as CFO until its sale in 2006, Ken formed Mortgage Support Group, which benefitted a wide array of mortgage companies clients. He serves as the Chairman of the Themba Foundation, an organization working with Rehoboth Children’s Village, a home to orphaned children living with HIV/AIDS. In addition, he is Chairman of the Genesis Trust, also an HIV/AIDS ministry, located in South Africa. A long-time resident of Rockwall, Texas, Mr. Hickman and his wife have three children. © 2016 Alabama Investor Loans/Graham Parham. All Rights Reserved.